As a private college, Salish Kootenai naturally charges higher tuition than Montana’s public colleges. Each credit hour costs students between $250 and $450 depending upon several factors. A full-time one-year program can thus cost anywhere from $4,191 to $11,463 in tuition. Helena College offers prelicensure associate’s degree programs in both licensed practical nursing (LPN) and registered nursing (RN). Total costs can vary from $8,678 to $13,378, depending upon the length of the program. This represents an excellent financial investment, since Montana’s LPNs earn $38,000 per year on average and its RNs earn $59,000 annually. Furthermore, students experiencing financial hardship may apply for direct assistance from the school. Highlands College offers a certified nursing assistant (CNA) certificate program three times per year. Tuition fees are fairly low, varying from $100 to $400 per credit hour, and students can graduate from the course in just one semester. Montana’s CNAs earn a median annual salary of $24,000. 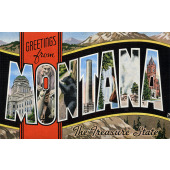 Below we provide additional information on Montana’s top nursing schools, ordered from most to least expensive.